Maintaining well control readiness is critical in the oil and gas industry, both offshore and onshore. Oil and Gas companies can improve competency and confidence while maintaining well control proficiency of operators using on-site portable training resources that includes simulations. 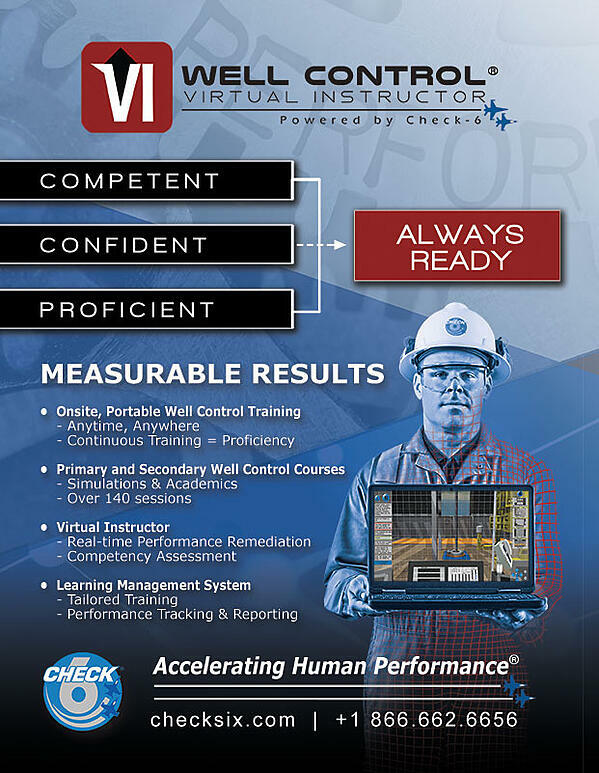 The Check-6 Well Control Virtual Instructor® (WCVI) will improve readiness in kick detection & shut-in, as well as managing secondary well control operations after shut-in – all while on hitch!